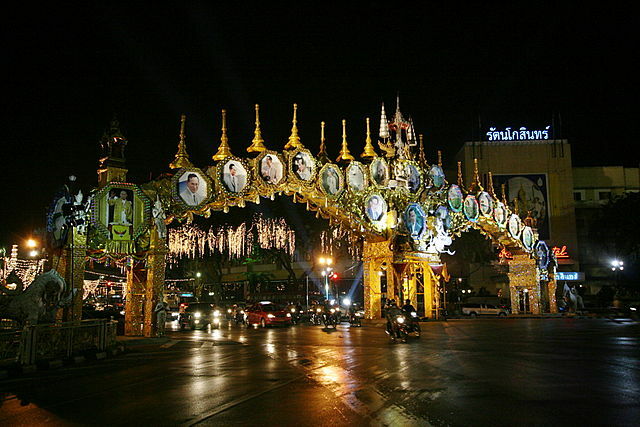 Bangkok welcomes more visitors than any other city in the world. It is a fascinating destination for families. Bangkok is divided into two parts by The Chao Phraya River known as River of kings. Most of the tourist who comes to Bangkok stays on the east side of the river where the heart of the city is located. This capital of Thailand has somethings for everyone, right from its temples to its markets and shopping malls, museums, palaces and beautiful architecture. Luxury malls are loaded with boutiques and markets, where you can treat yourself without over spending. Which part of Bangkok is best suitable for your family depends on the HOTEL you pick up. You need a place that is suitable for all ages, so the kids never get bored and the parents get some time to relax and enjoy their time. There are many family friendly accommodation offering excellent services and facilities with a fully-fledged kids club, a good swimming pool and convenient access to attractions. SEA LIFE BANGKOK was known previously as ocean world. This place is especially for children. It includes an underwater tunnel where there are countless different species of fish and other marine life here including Octopus, seahorses, turtles and penguins. The Chao Phraya RIVER is right in the heart of Bangkok, making a trip along the river is a popular thing to do. River ferries take you back and forth between hotels and landmarks, so even if you take a quick trip from one side to the other it’s a nice experience. There are guided cruise where one can learn all about the river while cruising on it. Dinner cruises are the perfect end to a day and allow you to see the city at sunset. The temples and palaces are lit up beautifully. CHATUCHAK WEEKEND MARKET is one of the top attractions in Bangkok, where there are 15000 different stalls and about 200000 visitors each day. The goods are affordably priced. Go early to beat some of the crowds and to beat the heat. Enjoy some great food from the multitudes of food carts. WAT ARUN is one of the familiar sites in Thailand and best known temple in Bangkok. It is also called as A TEMPLE OF DAWN. There’s an array of beautiful architecture to see at Wat Arun. It is situated opposite to the Grand palace, across the Chao Phraya River. Its soring golden tower is a spectacular sight at any time of the day built especially impressive when the sun is setting on the horizon. KHAO SAN ROAD is where you find bars, shops, street food, international restaurants, vendors, locals and activity all day and night. It’s also a popular weekend for Thais. Bangkok NIGHT LIFE experiences are one of the main reasons why so many people make their trip to the metropolis year after year. No visit to BANGKOK is complete without a glimpse of its famous nightlife, right from cabarets to exotic red light districts. The nightlife here has evolved over the years. It includes party scene at Khao San Road, the Soi Rambuttri and not forgetting Thonglor which is across the town that opens up a trendy new bar every week. A visit to Bangkok will be one of the memorable experiences and you will find a huge selection of things to see. So do come with your little ones.